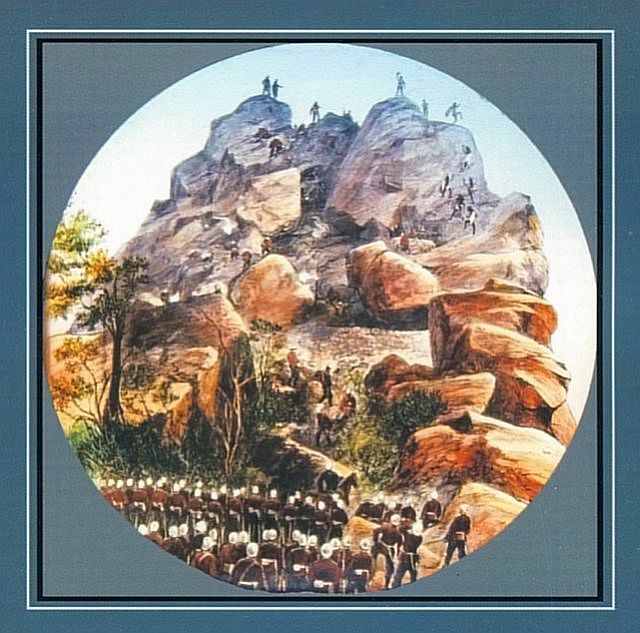 The siege and the battle on Moorosi’s Mountain near the source of the Orange River is one of the more interesting and dramatic military events to occur in Southern African history.. The valour and skill displayed by both sides fighting on a mountain top ranks (though not in the size of forces deployed) with the great Zulu battles of Isandlwana and Ulundi which were occurring in the same period. Three times in the mountains of the baSotho, colonial troops, backed by tribesmen loyal to their late leader Chief Moshoeshoe, fought to capture Chief Moorosi and his baPhuthi gun-wielding renegades. The renegades were hidden on a mountain-top surrounded on three sides by steep cliffs and on the fourth side by high walls with gun-slits for the well-armed, well provisioned fortress. The refuge had even been stocked over the years with a cattle kraal, in anticipation of an event such as this. A siege was easily withstood. Only direct attack could work – and that could be achieved only by single men scaling the cliffs on ladders. Two soldiers came close to death in the attempt. Two soldiers were awarded the Victoria Cross. So was a military surgeon at the scene of the battles. It was the kind of military encounter from which legends are usually made. Instead, history has almost forgotten the bloody battles that led to the death of Moorosi and many of his fighters. 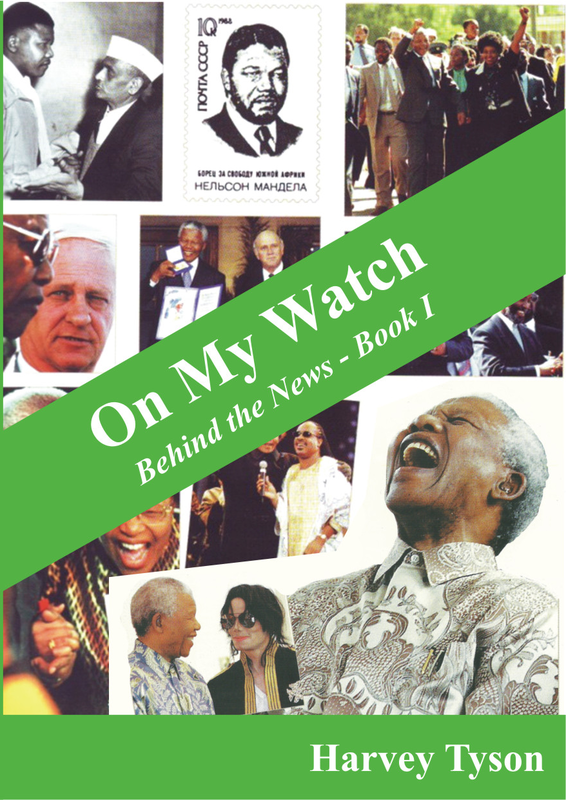 Theal’s history, Walker’s history, Peres’s histories and several other South African history books have no word of it. (Monica Wilson and Leonard Thompson’s A History of South Africa to 1870 at least mentions his name… but the dramatic battle did not occur until 1879). Daring attempts, cunning defences, victory and tragedy are noted in neutral terms, with no sense of drama which lives instead in the cold, detailed facts. 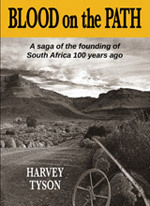 The full story was compiled by Hamish Paterson of the South African Military History Society – Johannesburg. “. . . (The commander,. Colonel) Bayly conducted a careful reconnaissance of the mountain. He discovered that, on the south-east side of the mountain, there was a spring which the defenders used as their source of water. The cliffs were lower at this point and there was a rugged and broken path leading over boulders to the spring. Moorosi had not neglected this path, which was covered with loop-holed stone walls. Bayly choose this path for one of his storming parties. To the right of the spring, about 150 metres away, the cliffs were low enough to be climbed with the aid of the scaling ladders. A second storming party was assigned to attack at this point. A third storming party was assigned to attack at the point which had been designated the ‘Commandant’s Cave’. The fourth storming party was to attack at the Lip, once the other storming parties had achieved a lodgement. They had a difficult task because the Lip was where the two previous attacks had failed. The fifth storming party was assigned to infiltrate up the Gully to distract the defenders from the other attacks. . .
“The storming parties assembled and moved to their starting points on the night of 19 November 1879. They moved to their positions at 23.45 with the intention of attacking an hour before dawn. . .
“. . .The signal for the attack was the firing of three rockets. The attackers immediately ran into trouble. The men detailed to carry the ladders and water of No 1 Storming Party dropped their loads and fled when the first shot was fired. The CMR men had to carry their own ladders. Meanwhile, No 2 Storming Party found that they could not climb the cliffs at the ‘Commandant’s Cave’ and so moved to support No 1 Storming Party. Finally, Captain Hook suspected that the Tambookies of No 5 Storming Party were going to defect, so he sent them back to camp, where a nervous camp guard kept an eye on them. “No 1 Storming Party’s ascent was headed by Lieutenant Sprenger, who climbed up the ladder into ‘Bourne’s crack’. There, he climbed a large boulder, at the top of which he encountered a BaPhuthi clansman, who threatened to shoot him and tried but missed during the attempt. Sprenger’s return shot was fatal and soon the CMR had a foothold on the mountain which grew more secure as time passed. There was no BaPhuthi counter-attack. Maclean’s Fingoes had a difficult struggle up to the Spring, but they, too, broke through to the upper mountain. They lost one man killed and one man wounded. Maclean led from the front. The Wodehouse Border Guard was very reluctant to advance. Hook and Tainton, with Storming Party No 5, managed to get their men across the danger zone and into the defences. 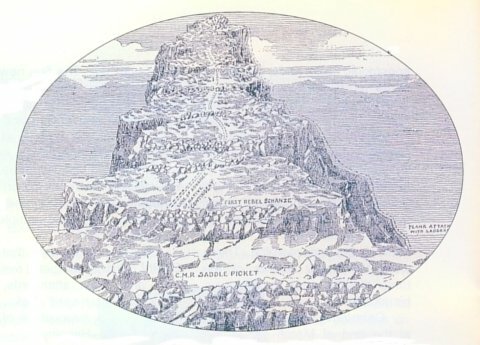 Soon there were enough men on the summit to form a line. They charged the rallying BaPhuthi, who found that a rifle and bayonet are an unnerving weapon. Hand-to-hand fighting followed and the BaPhuthi broke and ran. Some were shot as they fled, while others fell to their deaths as they ran over the cliffs. Then the attackers divided into three parties and started to search for Moorosi and Doda. “One trooper, named Whitehead, was fired upon by a baPhuthi clansman, who managed to shoot the cap off his head. Whitehead shot his opponent in the neck. The man crawled away to die. He was Moorosi. Five of his sons died in the fighting for the mountain. Doda threw himself down the mountain side and escaped. The attackers were stunned to find how well prepared the BaPhuthi were for a siege. There were stone houses on the top of the mountain and large stocks of food in caves. Moorosi had made good use of the accumulated knowledge of the Sotho in defending hill and mountain tops. He also showed considerable expertise in increasing the effectiveness of the firearms at his disposal while negating the effectiveness of those used by the Cape forces. “…The fact that (Moorosi’s) sentries were exhausted greatly contributed to the attackers’ success in the final assault. .. Bayly’s assault took the defenders by surprise and reaped the benefits. The defenders lost 70 killed and the attackers, one killed and seven wounded. It is probable that some of the defenders slipped away during the winter of 1879 when the approaches to the mountain were less well guarded. Ditsong: National Museum of Military History, Saxonwold, Johannesburg. I searched among all those named in military despatches for mention of my own forebear, but his name was not there! Surely everyone with the rank of colonel would be listed? Colonel Joseph Wood’s own book , Through Matabeleland. Ten Months in a Waggon, (1st published in 1893), was concerned solely with his adventures on his quest for gold in Matebeleland seventeen years after the Moorosi Rebellion . . . and his whole purpose for recording his journey was to attack Cecil Rhodes for putting him under false arrest, and usurping his legitimate concession from Chief Lobengula. Wood finally received apologies from the British government. It seems that “Joseph Garbett Wood, M.L.A. Col. Of Colonial Forces” was indeed a colonel of a Grahamstown voluntary force Mounted Yeomanry…with not enough volunteers to form a regiment. Instead he assumed the lower rank of Captain in order to lead his section of the called-up Yeomanry. These volunteers returned home after Colonel Bayly decided to use only professional soldiers – the Cape Mounted Rifles (and some trusted tribesmen)– to maintain the siege and only ‘volunteers’ among the soldiers to single-handedly scale the ramparts. Monetary awards, as well as medals, were offered for the defeat and capture of the rebel leaders.